Excited about the possibility of change! A Health Coach is a supportive mentor and wellness authority who works with clients to help them feel their best through food and lifestyle changes. Instead of prescribing one diet or way of exercising, Health Coaches tailor individualised wellness programs to meet their clients' unique needs. 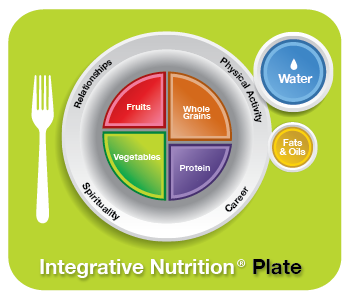 I was fortunate to study Health Coaching with the Institute of Integrative Nutrition. It changed my life. Not only were so many of my unanswered questions about Health & Wellbeing addresses, but i learned so much more than i ever realised was available. When I first started studying, I had the radical thought of - I have found my people. These people speak the language I have always adhered to but hardly ever heard in its fullest glory from one source alone. Last but not least, what in my mind is the most important aspect and the one we come back to again and again - Bio-Individuality. The concept of bio-individuality is the idea that each of us has unique food and lifestyle needs. One person’s food is another person’s poison, and that’s why fad diets tend to fail in the long run. Working on the principle of bio-individuality, I’ll support you to make positive changes that are based on your unique needs, lifestyle, preferences and ancestral background. ​Click on the Curriculum Syllabus below for more information. ​Health/Wellness coaching is not intended to diagnose, treat, prevent or cure any disease or condition. It is not intended to substitute for the advice, treatment and/or diagnosis of a qualified licensed professional. Trained Health Coaches may not make any medical diagnoses, claims and/or substitute for your personal physician’s care. As your health/wellness coach I do not provide a second opinion or in any way attempt to alter the treatment plans or therapeutic goals/recommendations of your personal physician. It is my role to partner with you to provide ongoing support and accountability as you create an action plan to meet and maintain your health goals.